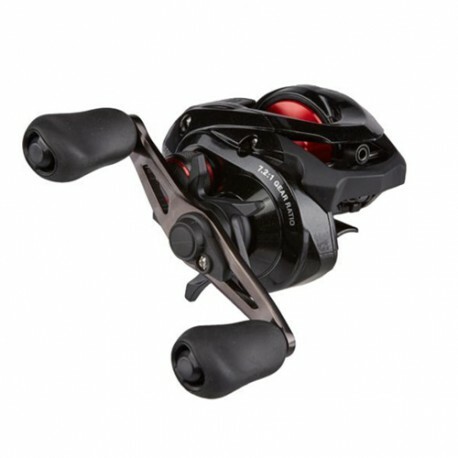 With a sleek and aggressive appearance, the all-new Shimano Caenan casting reels feature a redesigned High Efficiency Gear (HEG) system delivering exceptional strength and rigidity for years of reliable fishing. The Shimano Stable Spool Design (S3D) combined with a new Variable Brake System (VBS) provides outstanding casting performance with a wide range of lures and baits. Shimano’s Caenan series redefines performance and value in low profile baitcasting reels.